What: Citizen Science is a partnership between everyday people and professional scientists to investigate pressing questions about the environment, human health, societal issues, and more—studies that range from the microscopic to the galactic, and are taking place in communities, cities, and countries around the world. Who: People involved in all aspects of citizen science, including researchers, project leaders, educators, evaluators, designers and makers, volunteers, and more – representing a wide variety of disciplines. Why: Join people from across the field of citizen science to discuss designing, implementing, sustaining, evaluating, and participating in projects. Share your project innovations and questions. 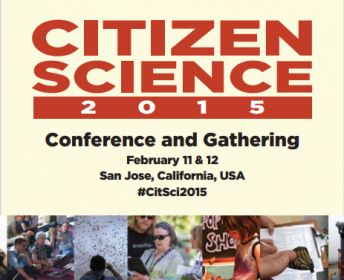 Citizen Science 2015 is the inaugural conference and gathering of the newly formed Citizen Science Association (CSA). This event is a pre-conference of the 2015 American Association for the Advancement of Science (AAAS) Annual Meeting.